We are getting used to SAP’s new yearly release schedules for S/4HANA On-Premise. Last week the latest release 1809 is released. Again, fully packed with new and enhanced functionalities. 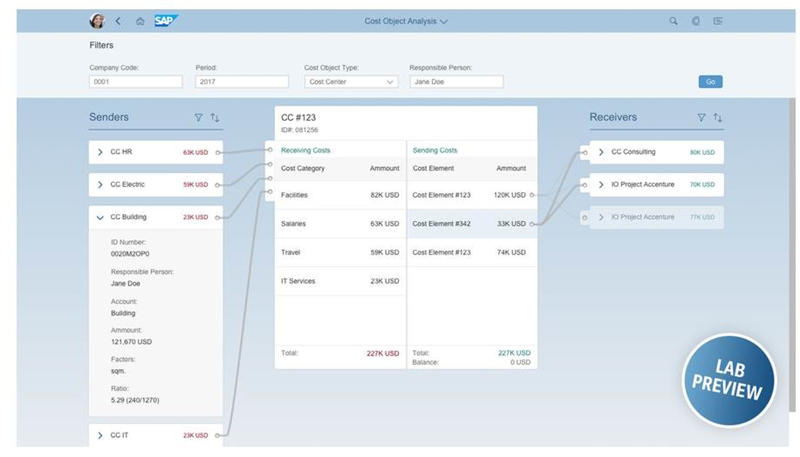 I especially like how SAP is increasing the integration of intelligence, machine learning and the Fiori UI to the existing business processes. 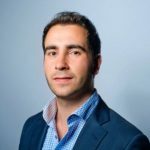 In this post I will write about the key changes in the Finance area. Sit bag and enjoy the nice things you will see in the newest S/4HANA release. In my first blog about “why S/4HANA” I had already explained that Account Based COPA is the way forward in S/4HANA. In the 1610 and 1709 releases Account Based COPA was enhanced, but there are still some functional gaps compared to Costing Based COPA. 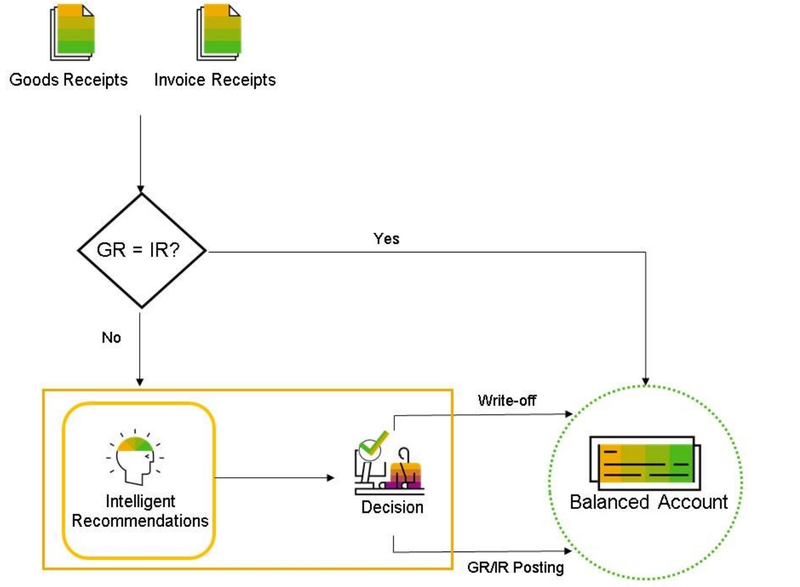 With this newest 1809 release SAP closes the gap between account and costing based COPA further. COGS split calculation with actual costing available in any ledger for fixed and variable values. I will cover the statistical sales condition and the sales order functionality in more detail in a a future post. 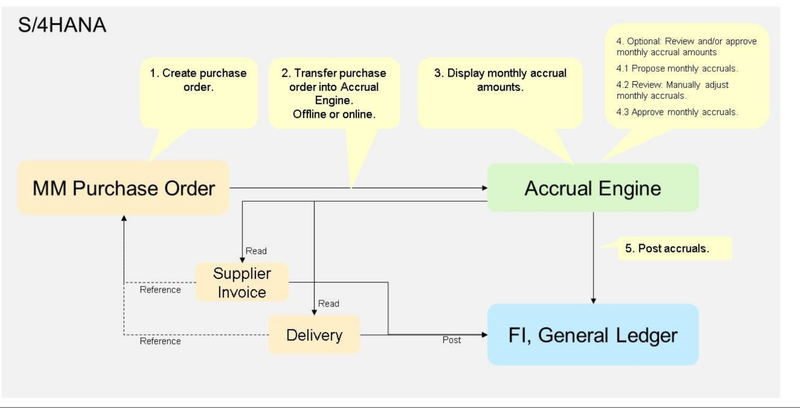 Predictive accounting in combination with margin reporting. Top-Down: Prediction uses a time series algorithm on historic data in order to predict future values considering trend, cycles and fluctuations. 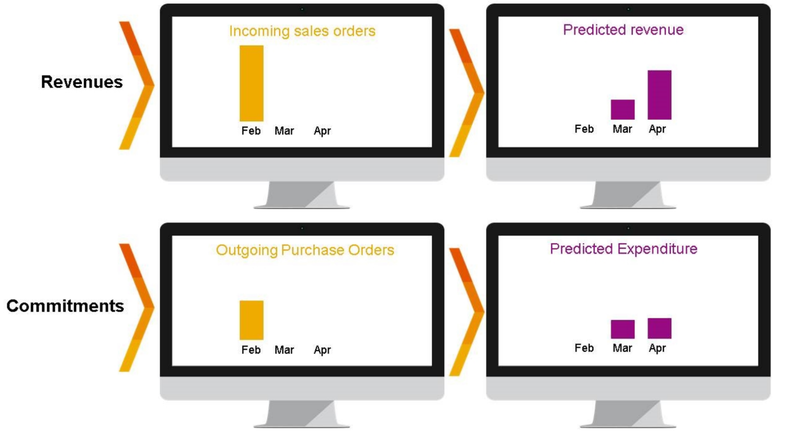 Predictive accounting includes insights from expected revenue and expected expenditures. Can be shown for derived characteristics such as profit center, segment and functional area. Predicted costs are missing in the third-party direct shipment and intercompany sales scenarios. This is due to missing goods issue. 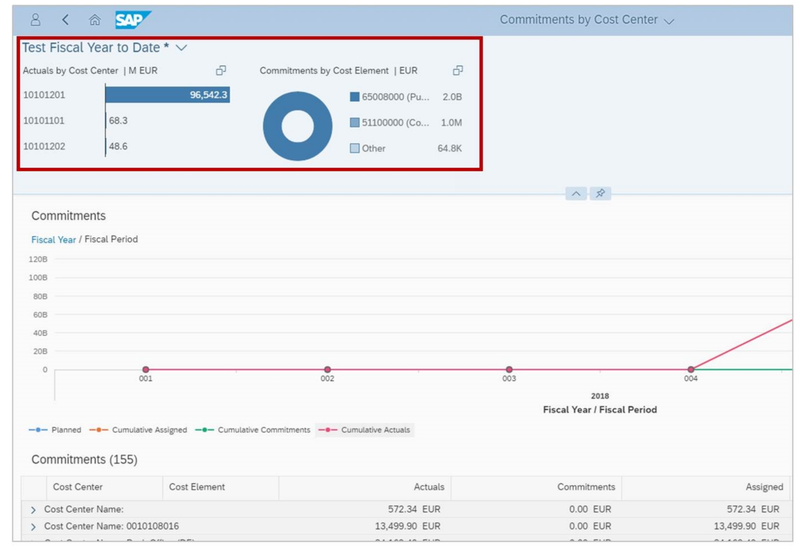 The New commitment logic and Commitment by Cost Center App provides full transparency over plans and spending, through embedded analytics solutions you get root cause analysis on the fly trough graphical and interactive user interface. How did the cost get allocated to my area? How do amounts flow across the chain of cycles and segments? Are the tracing factors reliable? Why am I accountable for this? How would the result look like in case we merge two legal entities? Whit this prototyped app the allocations to COPA can be analyzed on product level. Who is allocating which costs to the product? Which tracing factor is used? Which cost elements are used? How does the cost flow look like? Where are the costs originally coming from? Today each master data record type has an own logic and app to maintain and create hierarchies. 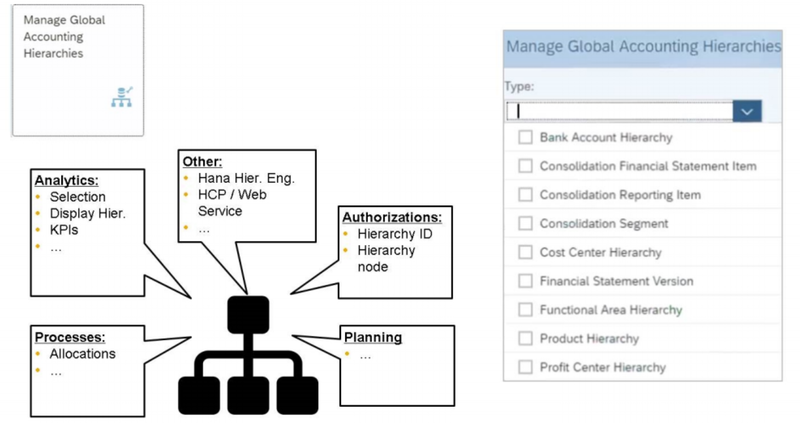 In many cases you end up creating multiple cost elements hierarchies for different purposes like reporting or allocations. 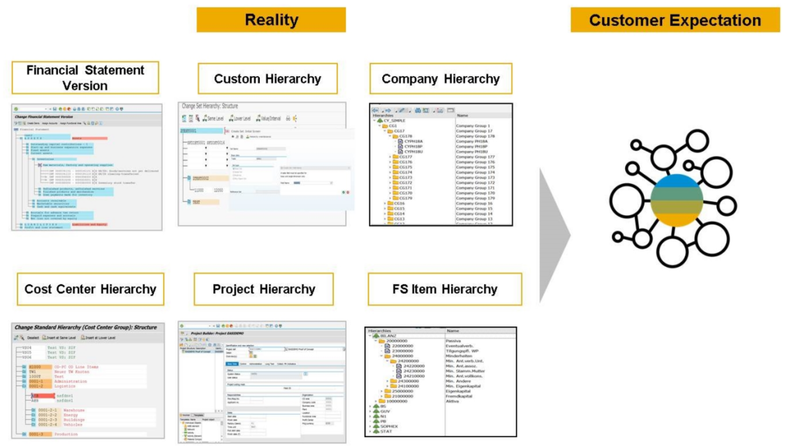 SAP want to unify gradually all the group and hierarchy maintenance activities in one App. Modern, consistent UI and persistency in one hierarchy. SET group, FSV, custom hierarchies, etc. 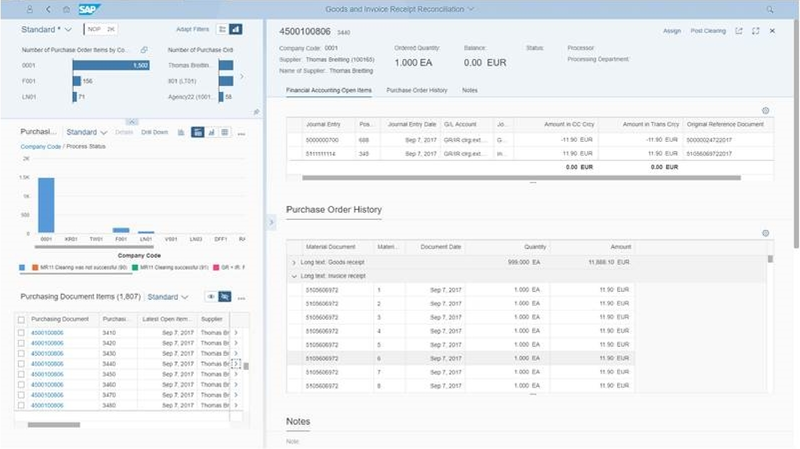 The new Goods and Invoice Receipt reconciliation overview App improves the process by displaying all necessary data on one screen so that the processing steps and statuses can easily be documented in the app. The proposal service with machine learning automatically proposes next steps for items that could not be matched. The goal of the machine learning service is to learn from decisions taken in the past to apply the learned knowledge to the new business situation and to make recommendations for the next meaningful steps for each purchase order item. The machine learns from the decisions taken by humans and improves over time. Training works by analyzing historical records of reconciled GR/IR accounts, and specifically manual assignments of purchase order items. There are a lot of changes in the new accrual engine compared to the old one in previeous releases. Also the customizing is changed significantly. I will be briefly explain the reasons for the new accrual engine and the new logic/functionality. I will do a deep dive into the new Accrual Engine in a future post. 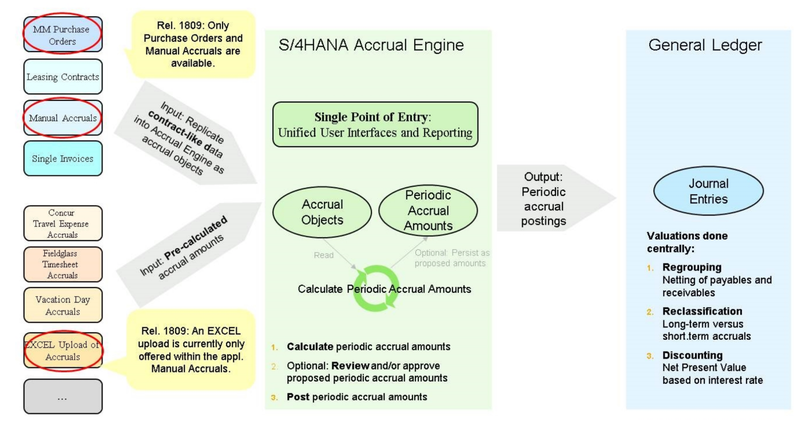 With the new Accruals Management Engine in S/4HANA SAP want to offer a coherent automated process with reliable outcome. 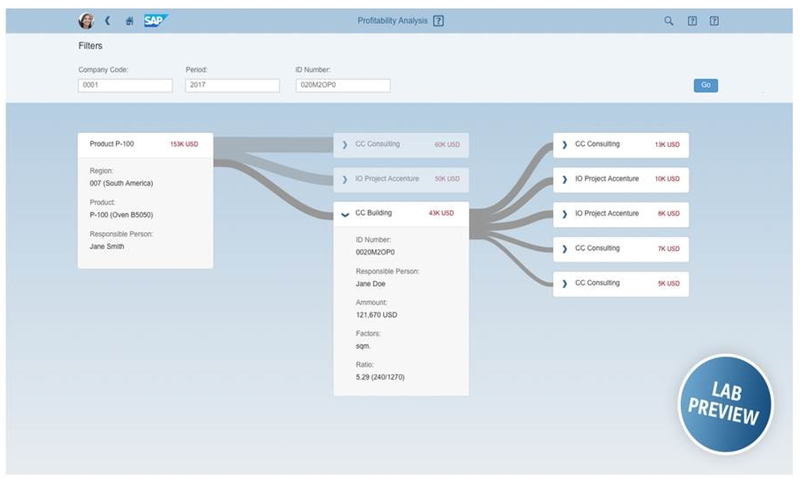 To do this a unified UI, transparent reporting and auditability is delivered. 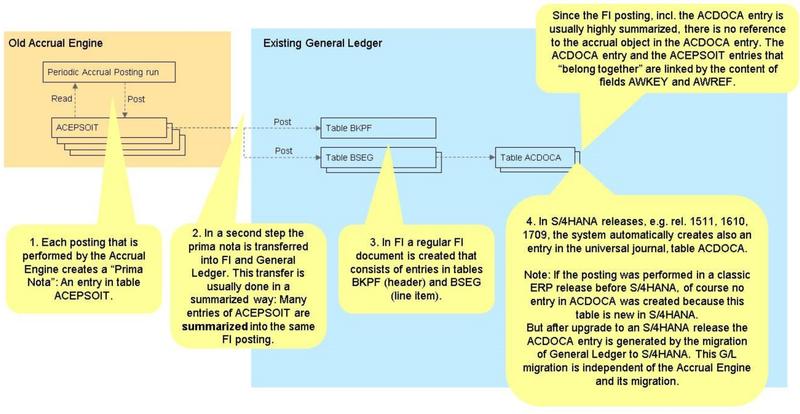 When Migrating to S/4HANA 1809 all your data from manual accrual management must be migrated to the new accrual engine. 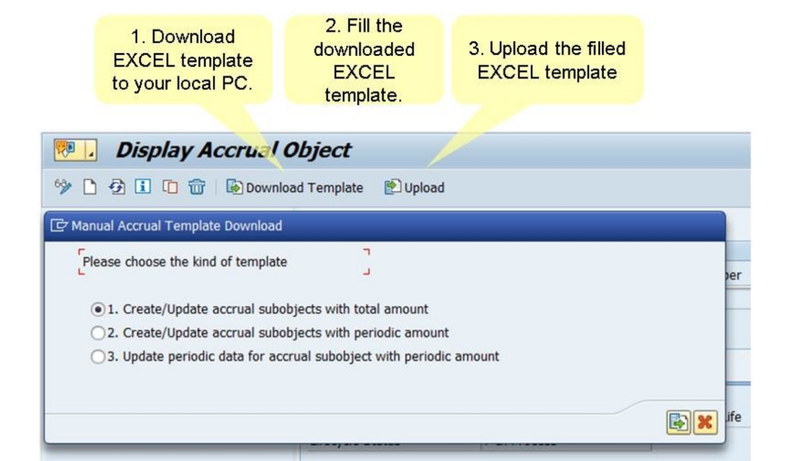 Next to the new accrual engine, in release 1809 the new application Purchase Order Accruals is introduced. At the end of each fiscal period the application calculates the accrual amount for the purchase order items by evaluating the pan data in the purchase order item. The delivery schedule with its planned delivery dates determines the cumulated planned costs that ere planned to have occurred from purchase order creation date up to the end of this period. At the end of each period the system assumes that these cumulated planned costs reflect reality. If at the end of the period the cumulated actual costs are less than the cumulated planned costs, the system proposes the difference as accrual amount. There are different use cases in which the system reacts differently like purchase of consumables without GR or purchase of service with service entry sheet. I will explain the system behavior for each of these different use cases in a dedicated blog in future. 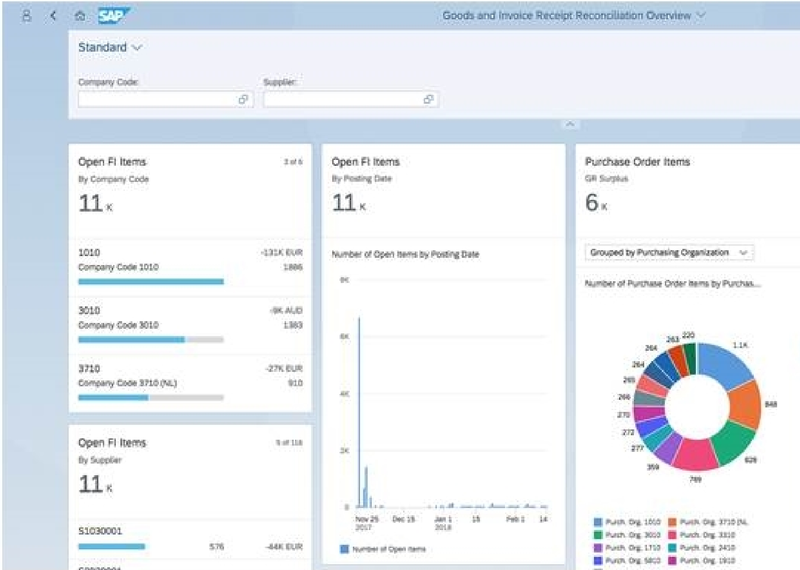 Hope you enjoyed this short preview of new and enhancement Finance functionality in S/4HANA 1809. Stay tuned for specific detailed blog posts about these topics in future. 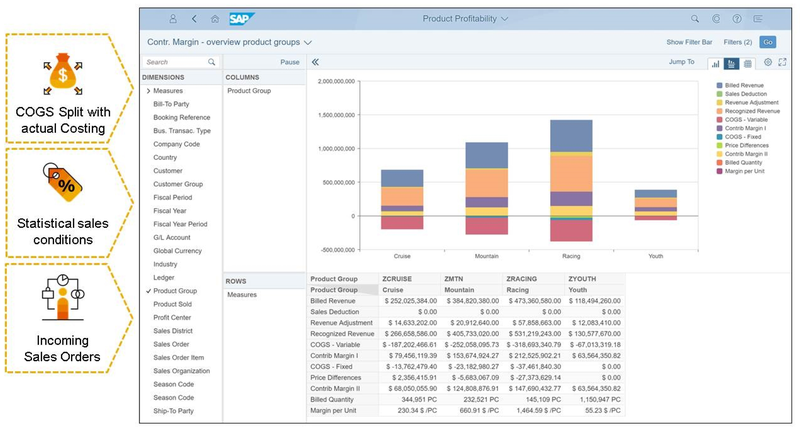 Thanks for sharing such an informative post about S/4HANA. You have explained all the related technical aspects in a very simple way. This article is helping us to learn new SAP skills. Keep it up!